Planning to Throw an Epic Debut? It’s time to check the dates that are closest to your birthday so you can block the venue. 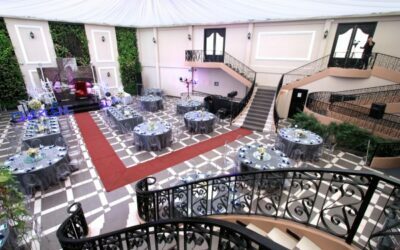 You have the option of booking our Debut Package which includes our air-conditioned Garden Venue, exquisite dining by our Accredited Caterers, with the flexibility to add Mood Lighting and Professional Sounds, LCD Projector and Crystal Chandeliers. 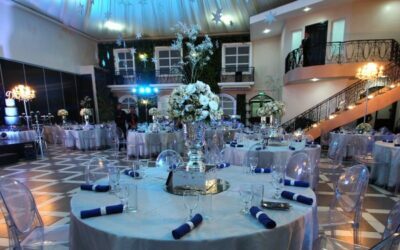 This already covers the set-up (color motif, flowers, backdrop) and look of your party. Too busy with school? Getting stressed? Living in abroad but coming to Manila to celebrate? 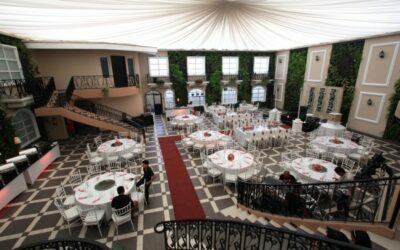 Our Comprehensive Package includes everything in our Debut package plus your custom Debutante Gown by Camille Garcia, Photo and Video Coverage, On the Day Coordination and Photo booth. Bring the outdoors in with lush foliage, floral décor, pastel adornments, and other dainty details for a sweet vintage debut. 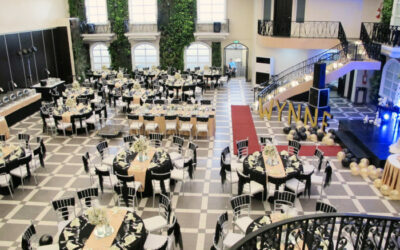 Wynne’s debut channeled the always stylish and sophisticated Gatsby party–glitz and glamour at its finest! 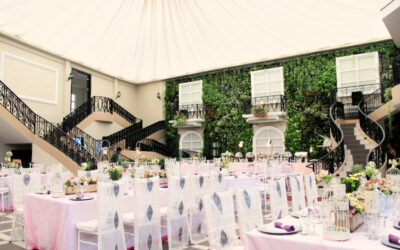 To keep with her theme, lush florals, feathers and sparkling décor surrounded the venue that kept the sweet and romantic vibe flowing all through the night. To create the illusion that guests were enjoying a magical evening beneath the stars, there was a “starlit” ceiling of hanging silver stars. Touches of deep blue and white flowers brought the tablescape to life. Take a deep breath and feast your senses with this enchanting debut. Feminine tones and delicate flowers bloomed all about the Paris Garden, serving as the perfect backdrop for a fairy-tale 18th birthday. Royal blue is a sophisticated color that draws eyes to your debut. When combined with silver, this color combination is ravishing and can bring magic into an evening. Mirrored accents make this debut lively and bright. Your 18th birthday is your time to shine, take center stage, and get the A-list treatment. Take a cue from this set-up with glamour written all over it.